The frequent travelers among us know that Chinese restaurants are everywhere. Once upon a time you could have visited Dublin or Dubai without seeing an Empress Garden Panda Palace or some variation, but those days are long gone. 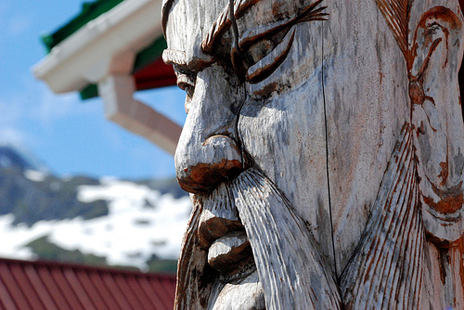 Like when writer Daisann McLane stumbled upon the Hong Kong Café in icebergian Greenland. A recent commenter on this blog put it best: "It's weird, but I always try to find the 'Chinatown' when I'm international too. I feel comfortable and at home there." 1. "Wokmania", old church in Derby, England. The decor sure beats that of any Chinese buffet I've been to. 2. Jubail, Saudi Arabia. Enormous barge, and very "sheik"! 3. "World's First Elvis Chinese Restaurant", London, England. It's a real Chinese restaurant, with a real Chinese man impersonating Elvis every night. 4. Outside San Pedro de la Paz, Chile. 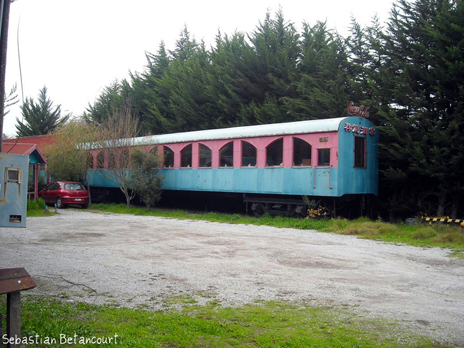 This is the best use for an abandoned railroad car. 5. Baghdad, Iraq. The lone lantern on the barbed wire says it all. 6. Whittier, Alaska. Confucian totem pole! 7. Renaissance Festival, Harrisburg, Pennsylvania. Goes to show, you shouldn't visit Renaissance faires for historical accuracy.